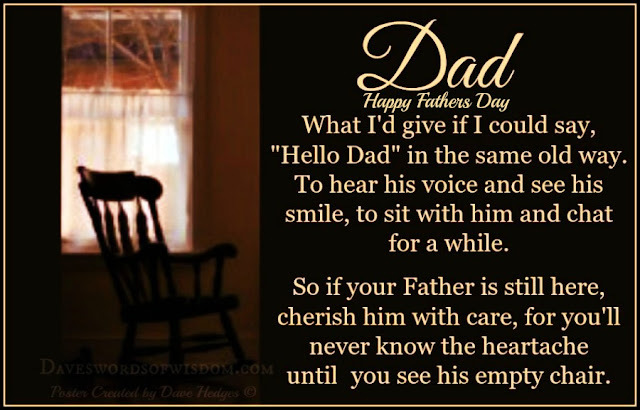 Daveswordsofwisdom.com: Dads Empty Chair - Fathers Day. Dads Empty Chair - Fathers Day. "Hello Dad" in the same old way. to sit with him and chat for a while. Love that verse seen it lots of times in the Hull Daily Mail, for mams and dads !